The home and away fixture was released last week, and now the VFL Magpies’ list for 2018 is beginning to truly take shape. Seven new inclusions display the result of a busy off-season for VFL General Manager Chris Dixon, while a number of key players from last season’s team have also re-signed. Perhaps capping the list of inclusions is ex-Carlton forward Andrew Gallucci, while former Williamstown teammates Nick Sing and Sean Hetherington also swap blue and gold for Black and White. 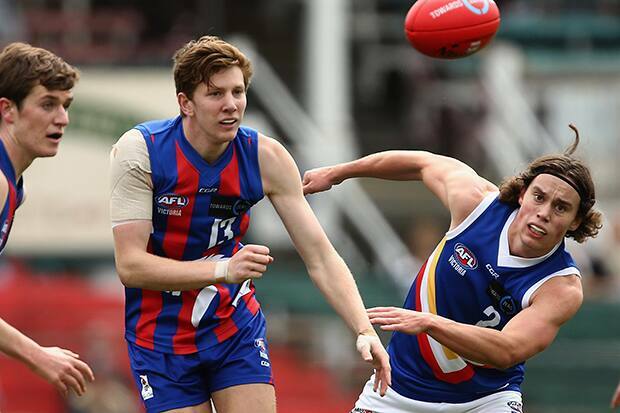 Elliott Le Grice is a high-profile signing from Sandringham, while Callan Wellings leads a new crop of freshly-graduated TAC Cup players embarking on a VFL career. Learn more about each new signing below and click here to see where and when the VFL Magpies will take the field in 2018. 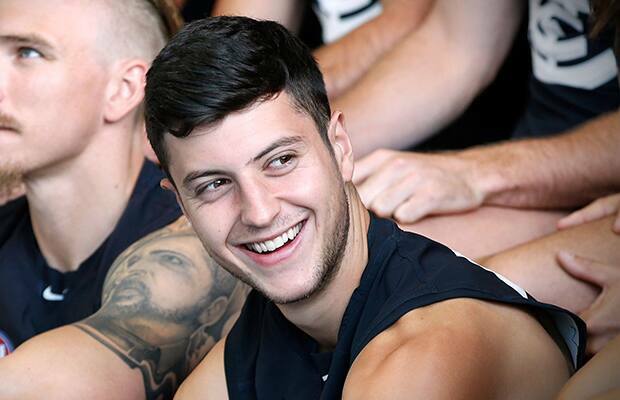 A proven VFL talent, Gallucci joins Collingwood after two years of AFL experience at Carlton. While he didn’t make it to the big stage, the small proved enough to receive a new contract after an injury-interrupted first year on the rookie list in 2016. By the end of his stint at Williamstown, Gallucci was simply too good to be ignored by an AFL club. 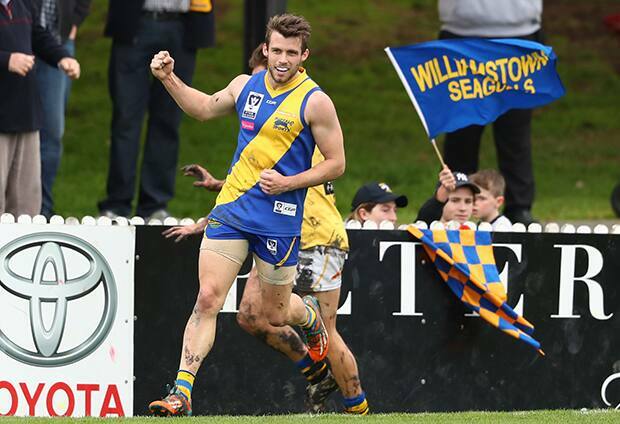 He made the VFL Team of the Year in 2015, and kicked three goals in the Seagulls’ Grand Final victory the same season. In Gallucci, Collingwood gain a “lightning quick small forward” who is also tenacious in his tackling pressure inside forward 50 and may rival reigning Frosty Miller Medallist Kayle Kirby as the VFL Magpies human highlights reel. In his four years at Sandringham, Le Grice quickly became one of the VFL’s most reliable key defenders. Standing at 195cm, he has often been tasked at lining up on powerful opposition forwards, and has regularly come out on top. “Elliot possesses excellent athleticism and endurance for a key defender, which has seen him consistently dictate terms for Sandringham,” Dixon told Collingwood Media. Wellings embarks on a senior football career after an impressive time with the GWV Rebels in the elite junior TAC Cup competition. 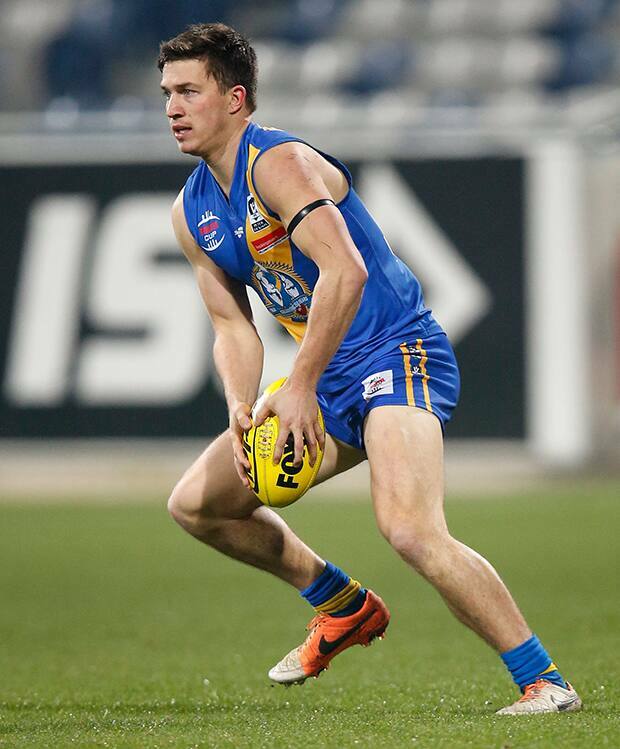 While the midfielder would no doubt be disappointed on missing out on an AFL call-up in the National and Rookie drafts, he now finds himself in a position to take his game to the next level. Wellings spent three seasons playing alongside some of the best footballers in country Victoria. However he rose to the top of the crop in 2017. 15 games produced a disposal average of 25, 6.5 tackles per game and six clearances. He was named among the best players in all but one match (in which he left the ground injured), and won the club’s best and fairest award. 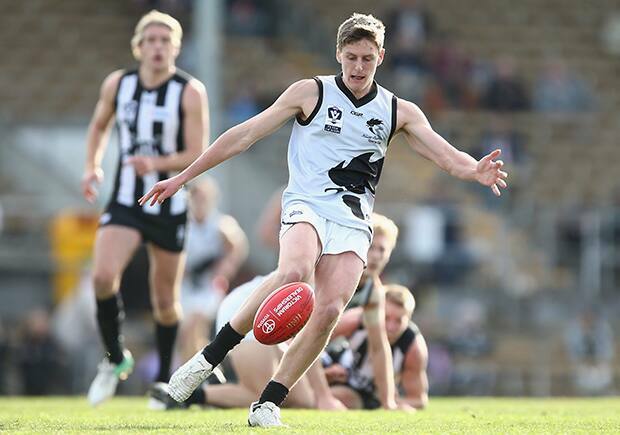 The 19-year-old tasted VFL action through four games with North Ballarat in 2017, and will be a valuable 23rd-player option for the Magpies in the season ahead. 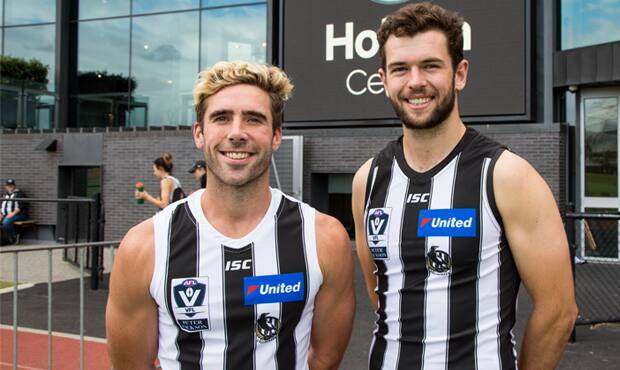 He follows Marty Hore and Lachlan Tardrew as highly-touted country products to call the Holden Centre home, while he also joins a familiar face – teaming up former housemate and Collingwood AFL rookie Flynn Appleby. A touch of experience joins the VFL Magpies in VFL premiership player Nick Sing. Arriving at the Holden Centre with 90 games under his belt, the 26-year-old immediately becomes Collingwood’s second most senior player. 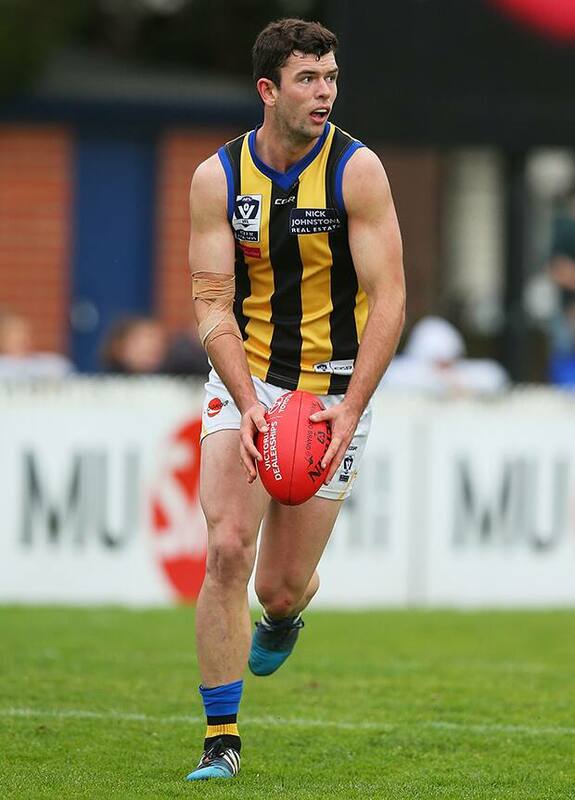 Only captain Jack Hellier (93 games) has played more VFL football. Its invaluable experience for a primarily young side. Sing’s experience stems far beyond games played. He was a key member of Williamstown’s 2015 premiership side, and won the best and fairest for the Gippsland Power TAC Cup team in 2009. “Nick has built a reputation as someone capable of playing lock down roles on small and medium forwards,” Dixon said. Hetherington is another former Seagull making the jump to the Black and White in 2018. This 23-year-old is a quick midfielder capable of playing inside and outside, with an added ability to kick goals from the middle. Hetherington stepped away from VFL commitments and took local football by storm in 2017. Playing for Rupertswood in Melbourne’s Riddle District Football League, he kicked 47 goals in 20 games. The Oakleigh Chargers has long been a breeding ground for Collingwood talent. Think Darcy Moore, Jordan De Goey, Josh Daicos and VFL Magpies’ own Jordan Collopy in recent years. In 2018, two new Chargers join the Magpie ranks. Roughsedge played in a premiership with Oakleigh. He returned at the club and was named captain in 2016 before a horrific leg injury which almost permanently ended his football career. “It got to the point where there was some pretty tough times in terms of some talk of footy not being an option moving forward,” Oakleigh Chargers talent manager Craig Notman said in October. Roughsedge did return, and did so in impressive fashion. The midfielder had 28 touches and seven clearances in a best on ground performance in round 15 this year. The encouraging return continued throughout 2017, and should give enormous confidence to the 19-year-old as he embarks on his VFL career. Stanford is another Oakleigh Charger joining the Magpie ranks in 2018. At 191cm, the versatile tall has the capability to play at either end of the ground and uses the ball well for a key position player. 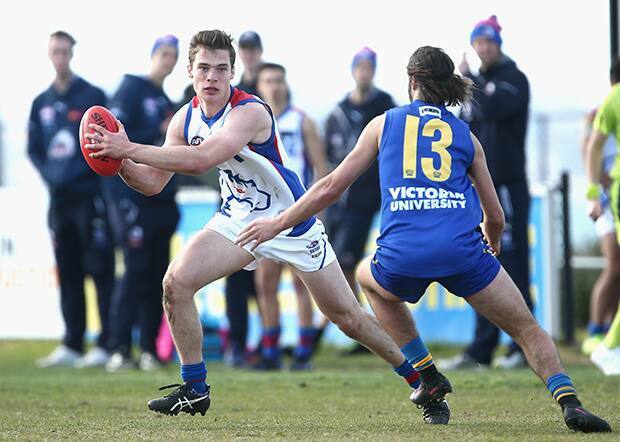 Like Wellings, Stanford gained valuable experience by making a cameo for Port Melbourne in 2017. He played three games for the Borough before joining the VFL Magpies.